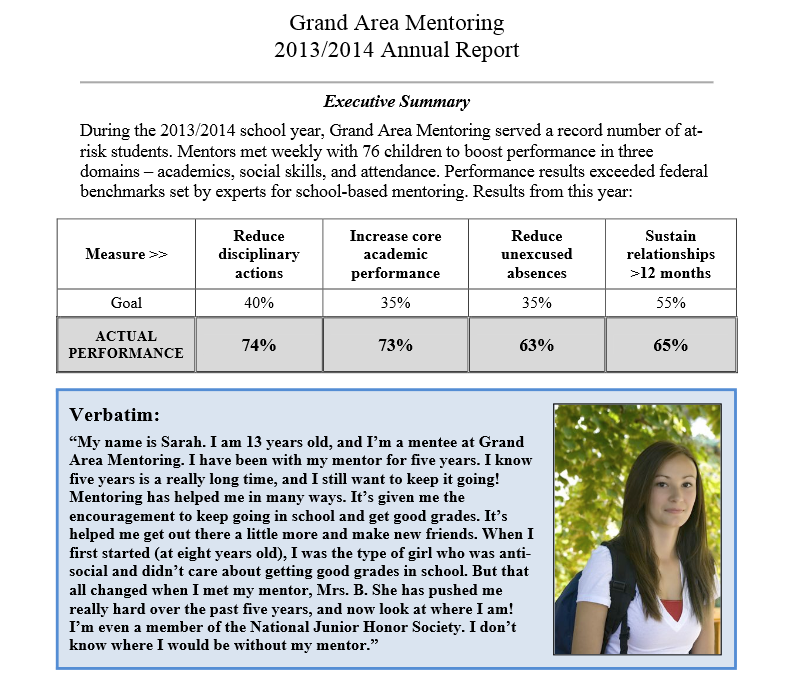 During the 2013/2014 school year, Grand Area Mentoring served a record number of at – risk students. Mentors met weekly with 76 children to boost performance in three domains – academics, social skills, and attendance. Performance results exceeded federal benchmarks set by experts for school – based mentoring.